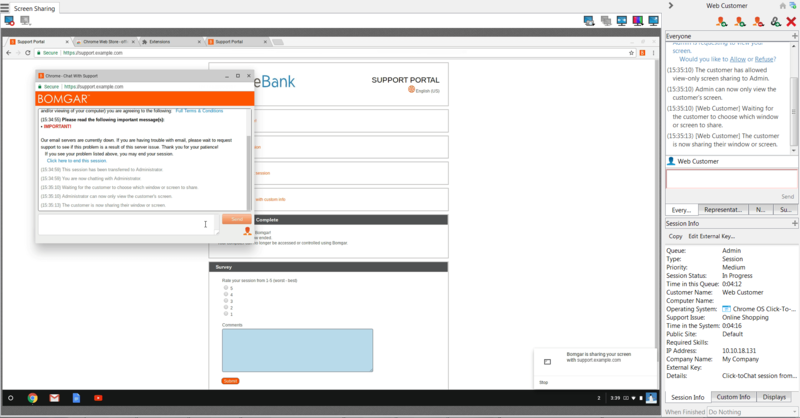 Before requesting support on a Chrome device, the BeyondTrust Remote Support Chrome extension must be installed. For more information, please see Chromebook, How do I download and install the Chromebook Web Extension from the Chrome Web Store?. 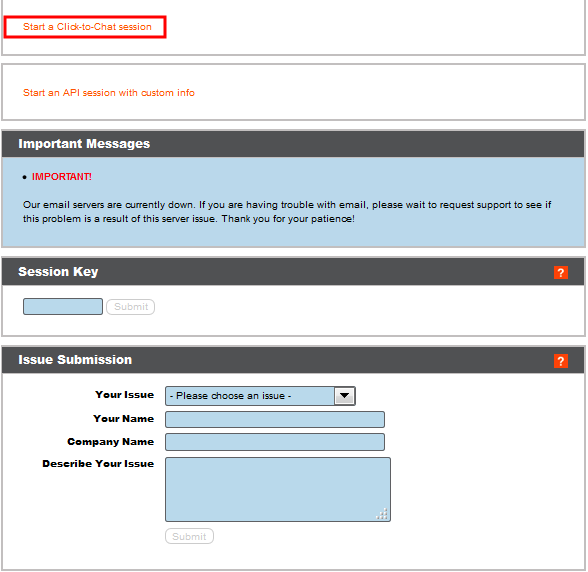 To initiate a support session from a Chrome device, users must go to their company support portal and start a session. Representative Name, Session Key, and Issue Submission are the only supported session initiation methods for Chrome OS users. Once clicked, a chat prompt appears, allowing the user to chat with their representative. During the session, the representative may prompt the user to share their screen. When prompted, the user receives a notification stating, BeyondTrust wants to share the contents of your screen with support.example.com. The user can choose to share their entire screen or just the application's window. The user must choose an option and click Share. The representative is then able to see the user's screen. 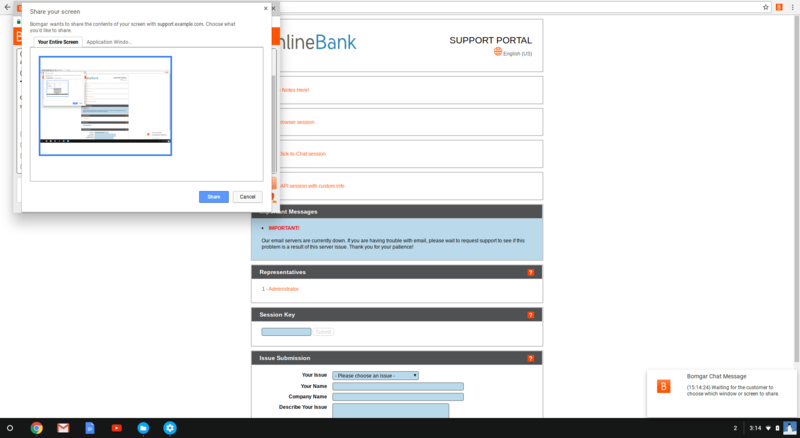 To initiate a support session from a Chrome device, click-to-chat must be enabled for the support portal. Chrome OS support with BeyondTrust Remote Support is "view only." During screen sharing, representatives cannot take control of the device or perform any actions on the device.